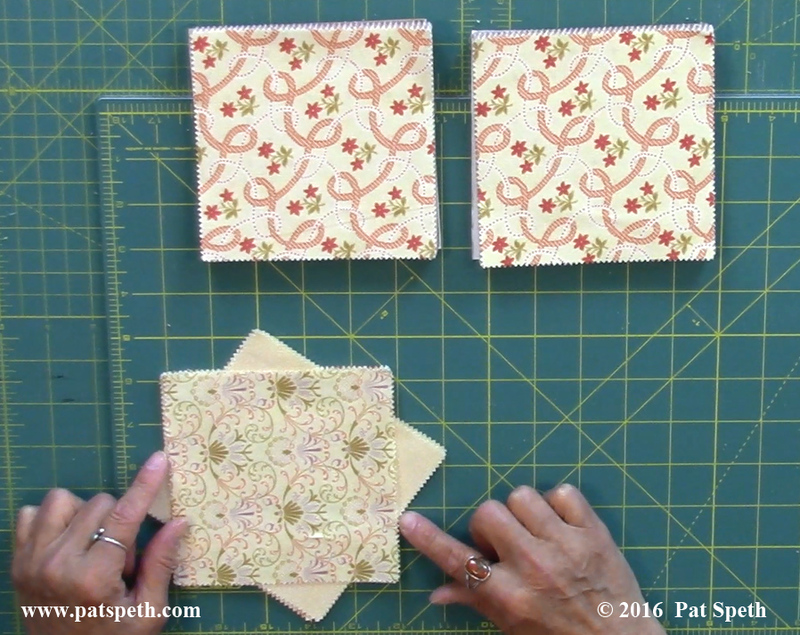 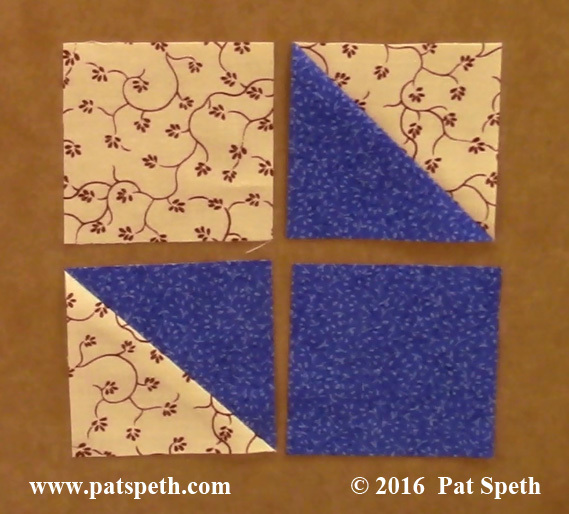 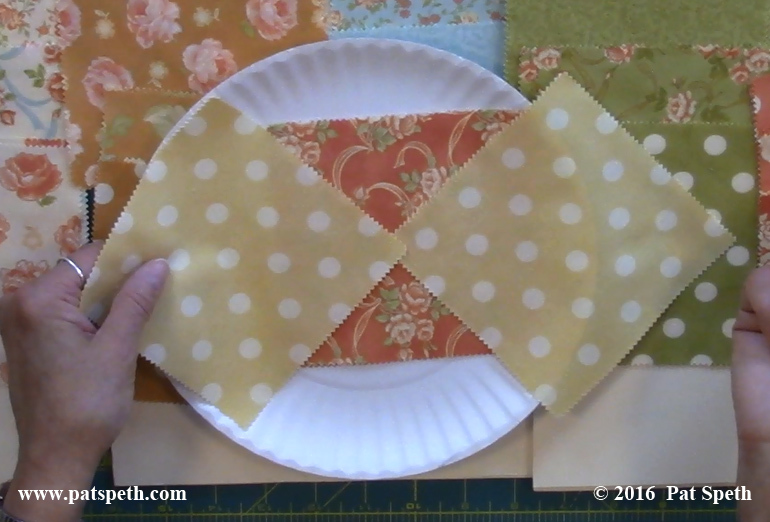 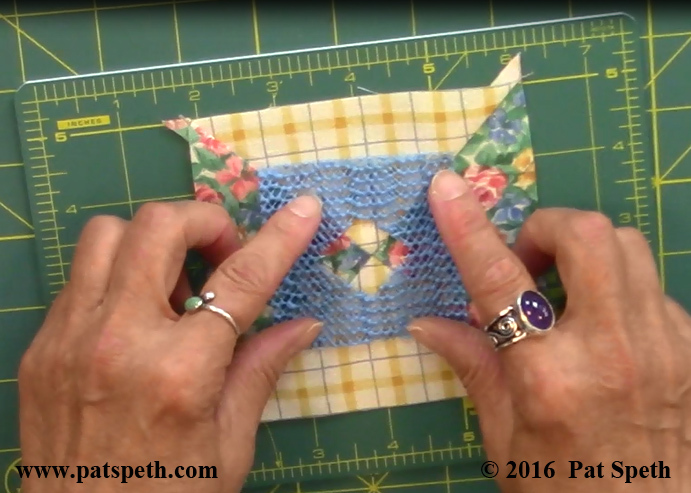 This video has step by step instructions for making the Cross block. 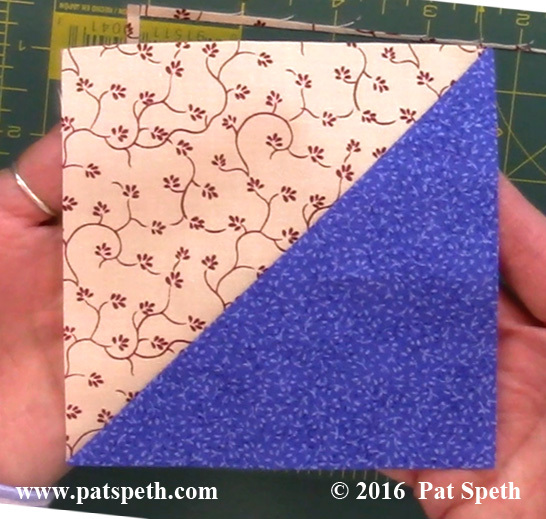 While making the sample block to show at the start of the video I fell in love with simplicity of this block and how easy it was to make. 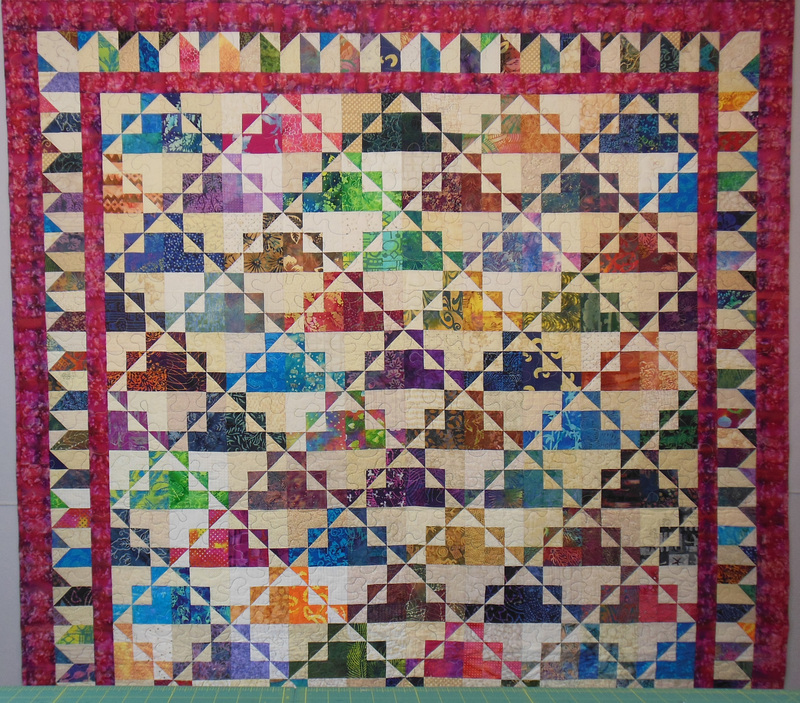 It’s been several years since I made the Steamer Trunk Treasure quilt and at the time I was under a tight deadline (1 week start to finish) to get it done in time for Quilt Market and really didn’t have the time to enjoy the process. 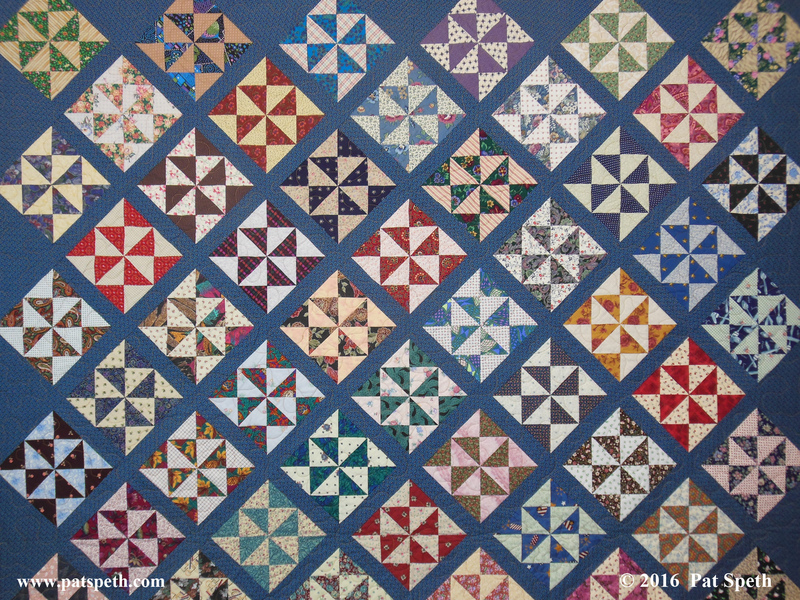 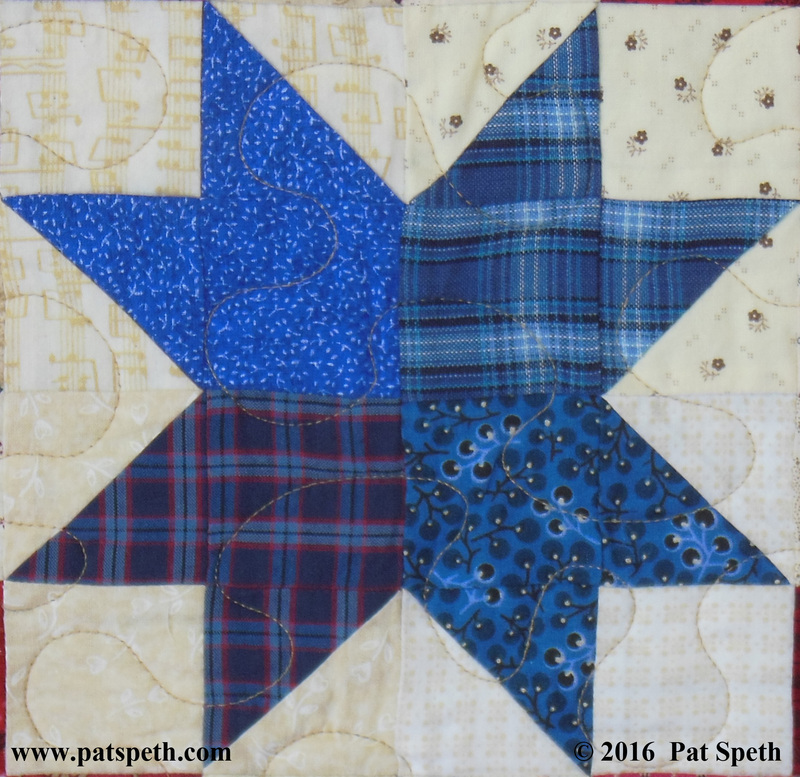 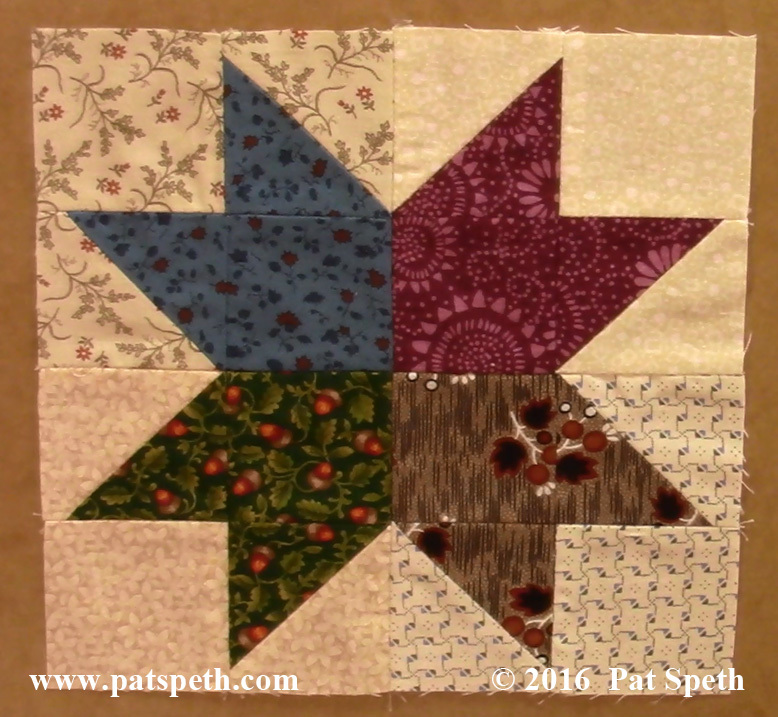 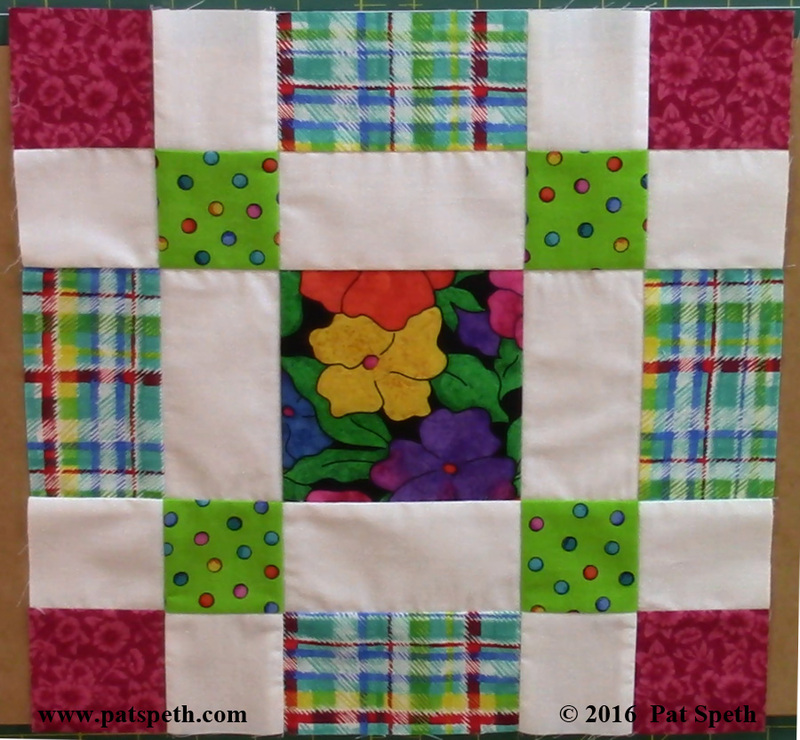 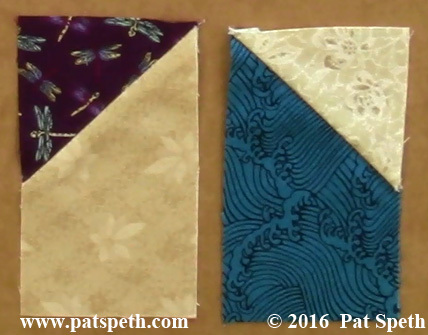 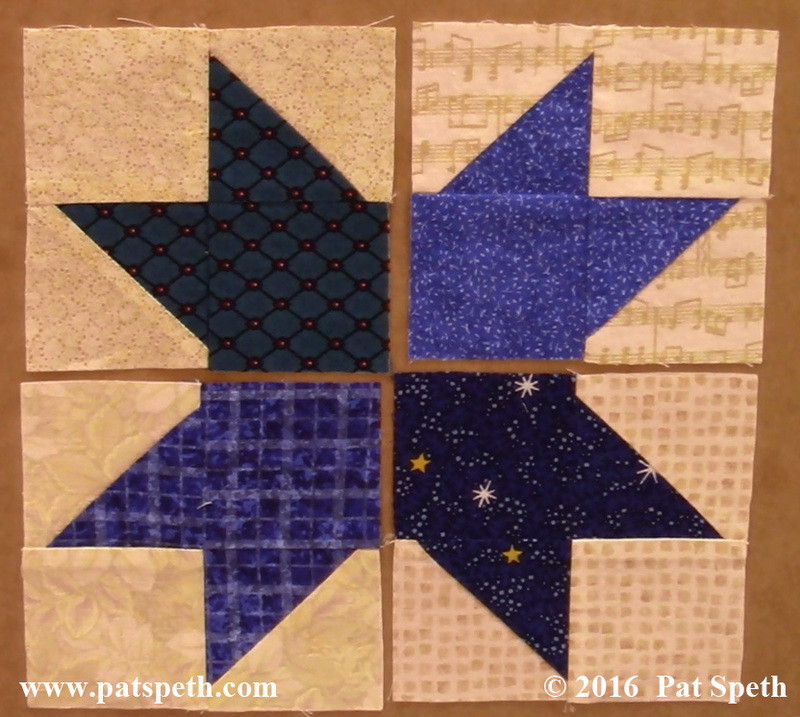 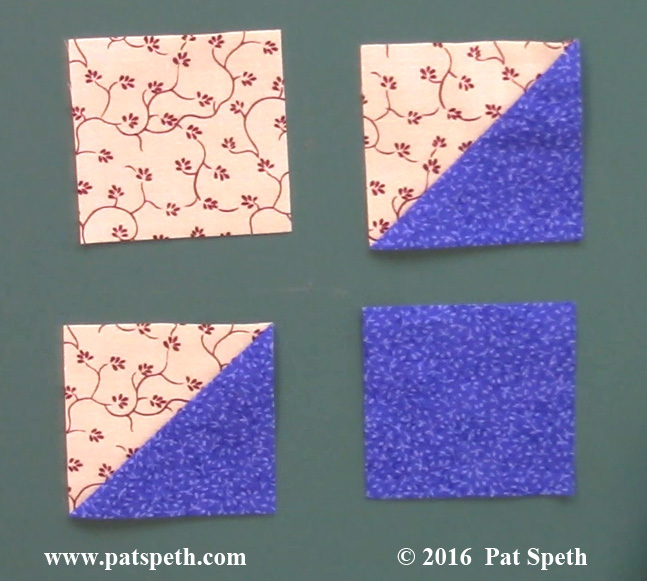 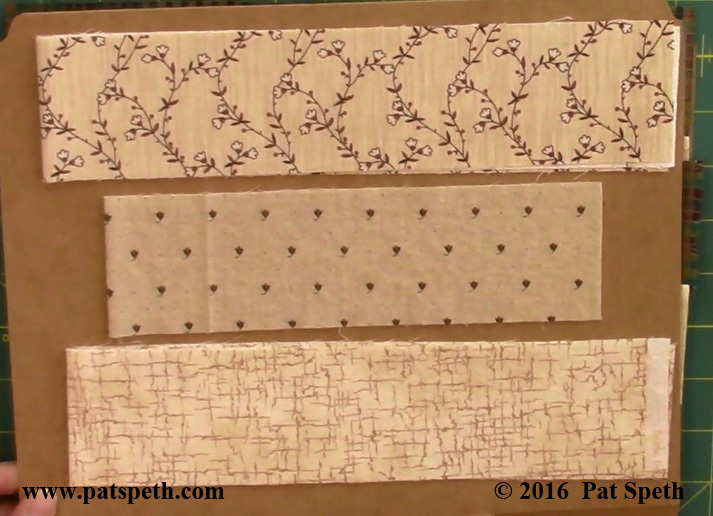 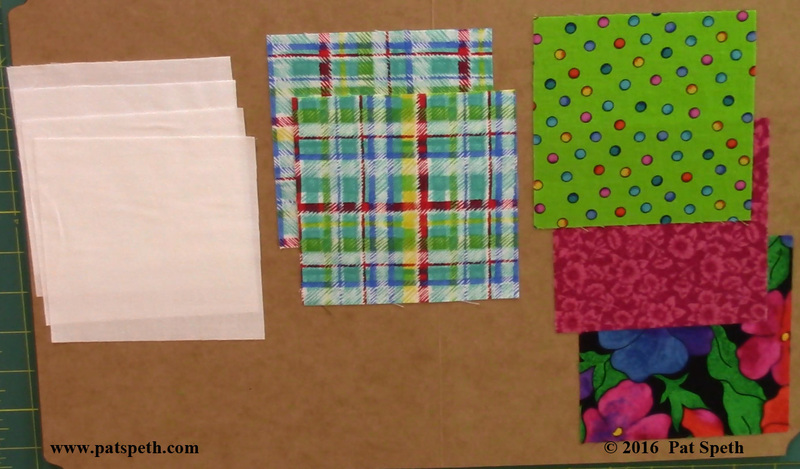 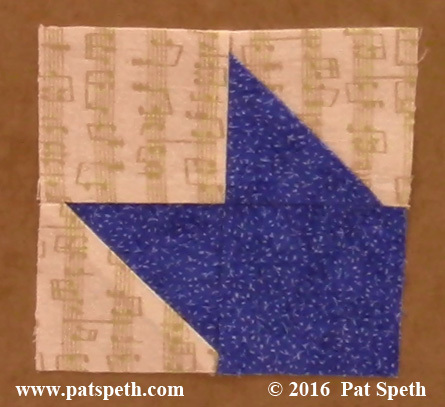 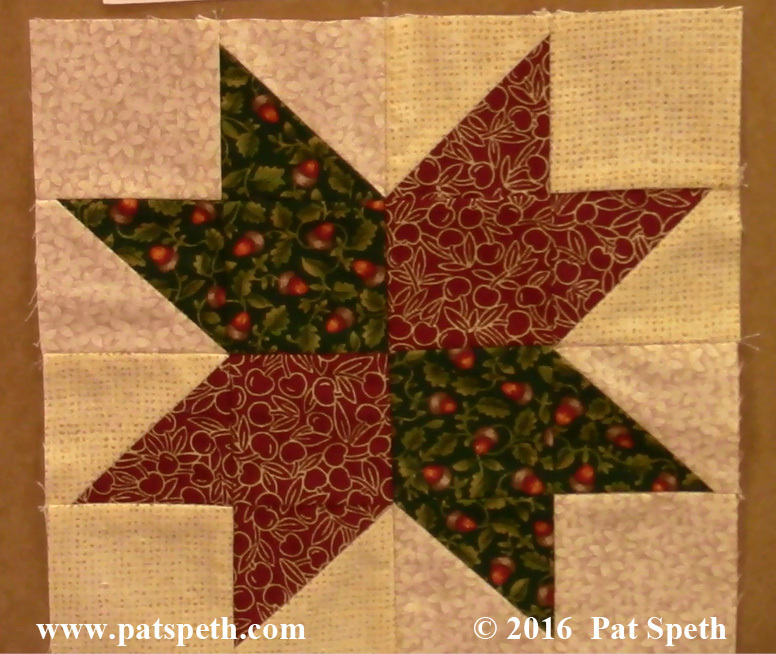 This time I took the time to enjoy the construction of the block as I was mentally making notes on how I wanted to present the demo of it and any hints that I wanted to pass on to a beginner quilter, or anyone making this block for the first time. 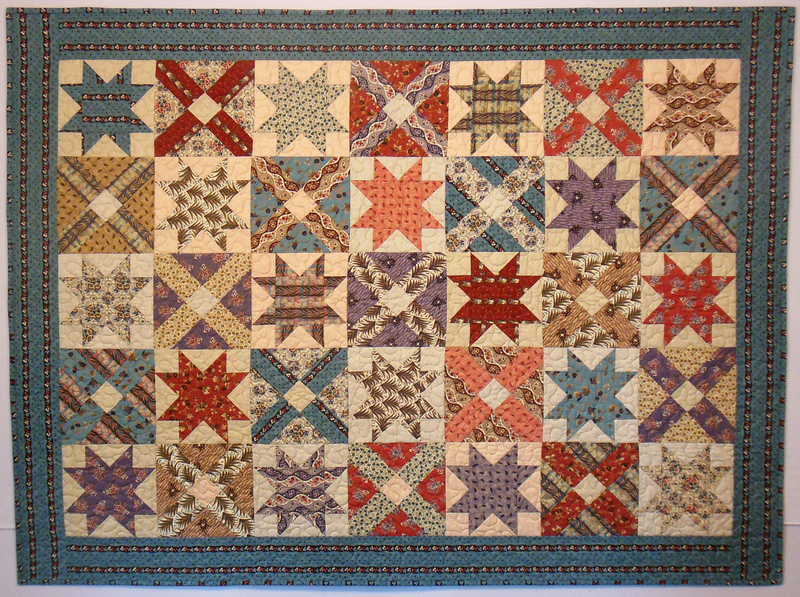 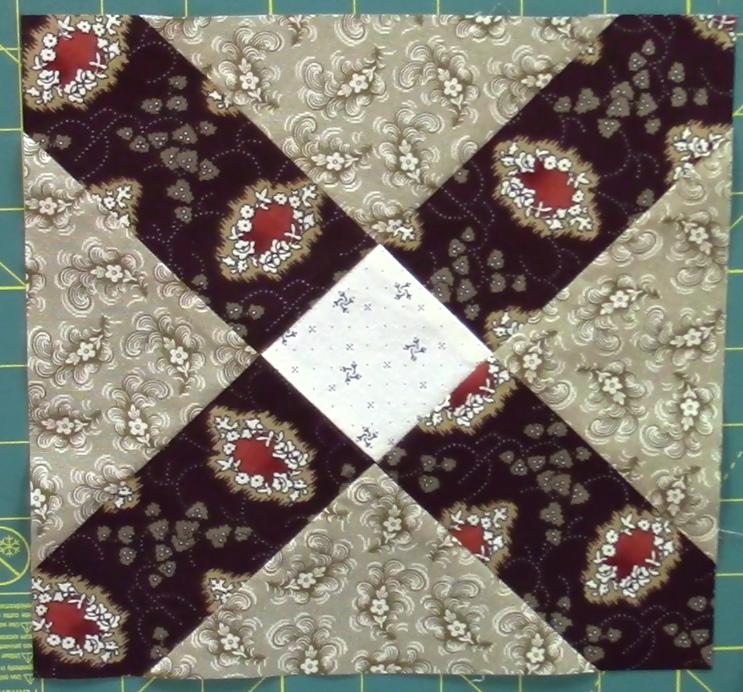 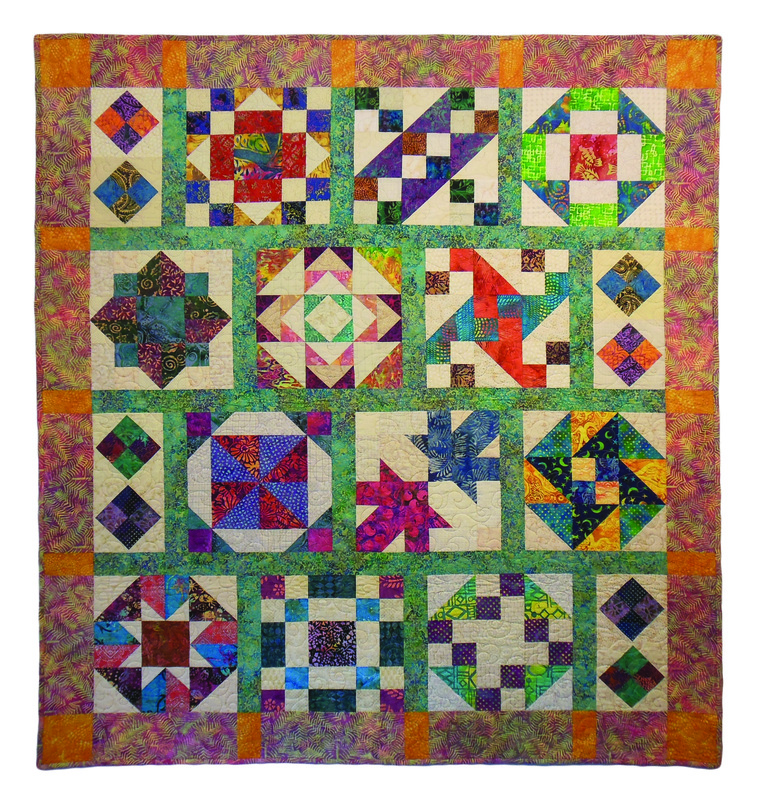 I think I will be making a quilt someday using just this block, it’s one of those projects that can be worked on between other projects when you just need to do some stitching and don’t want to do any thinking! 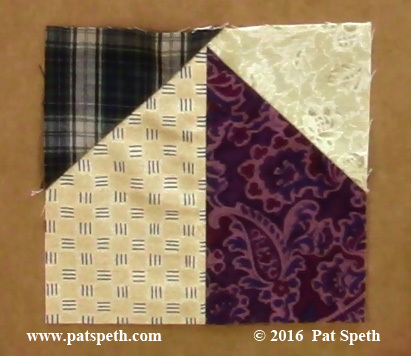 The Steamer Trunk Treasure quilt pattern is available for purchase from my website. 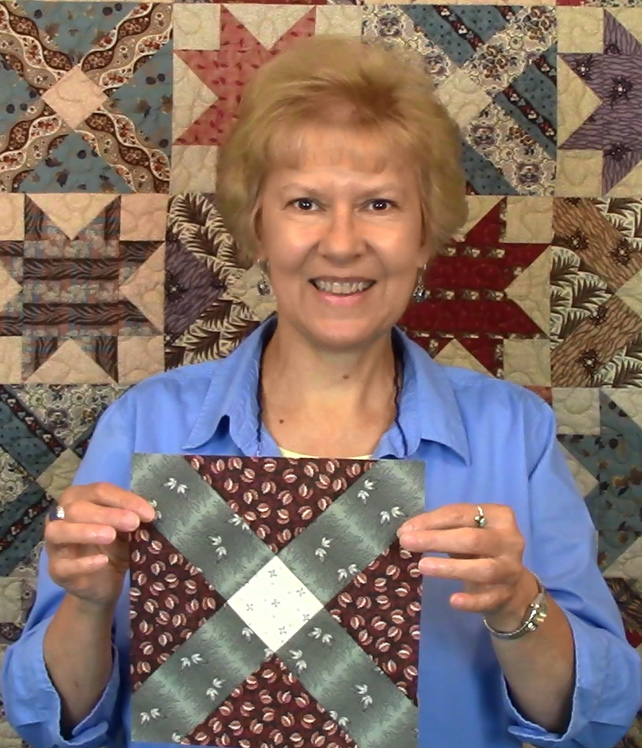 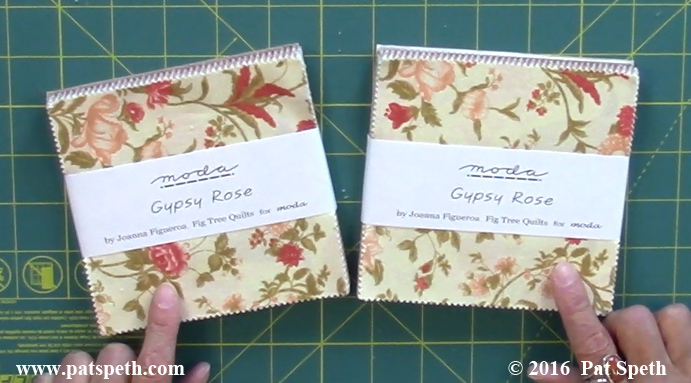 With this video I also announced a free pattern offer: When you purchase a book from my website you can receive a free pattern of your choice from any of my published patterns (retail value $10 or less) . 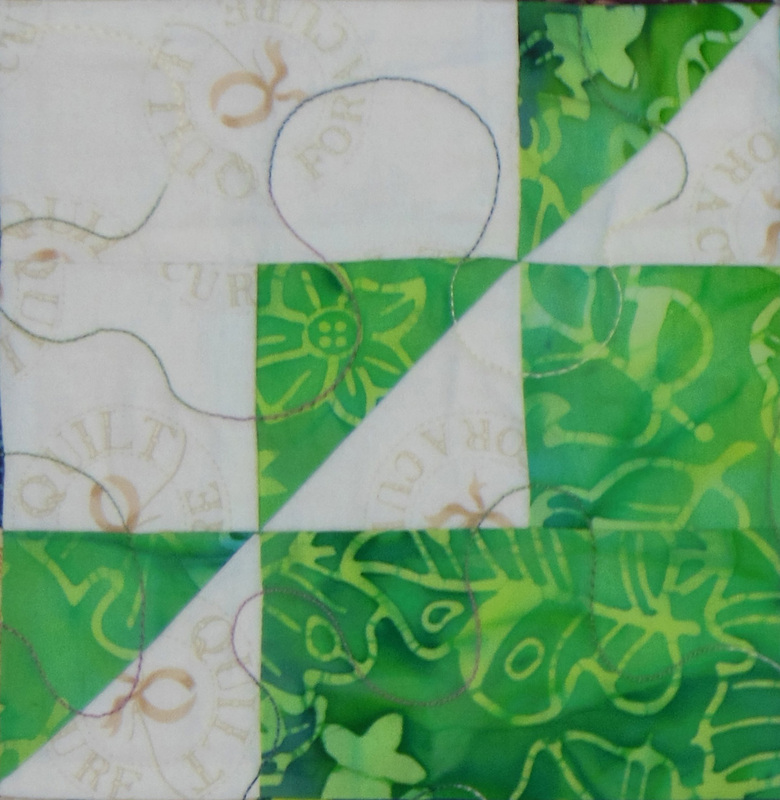 Write the name of the pattern in the Inscription area. 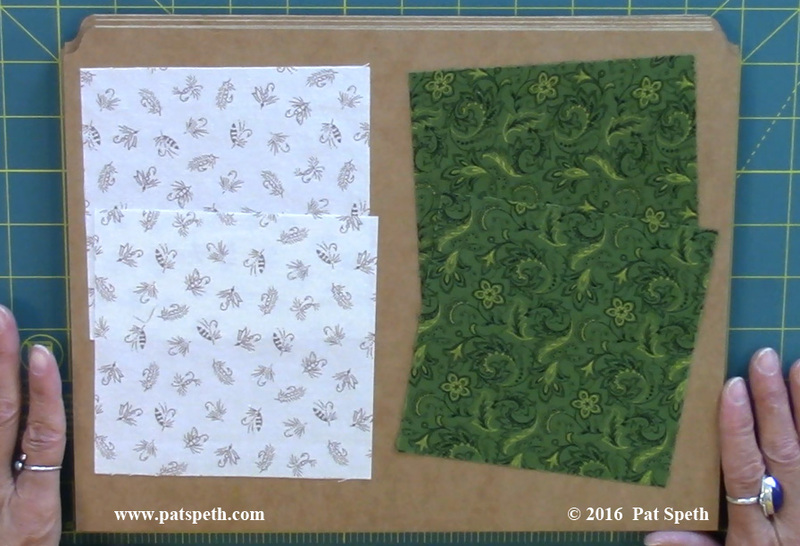 One free pattern per book purchased. 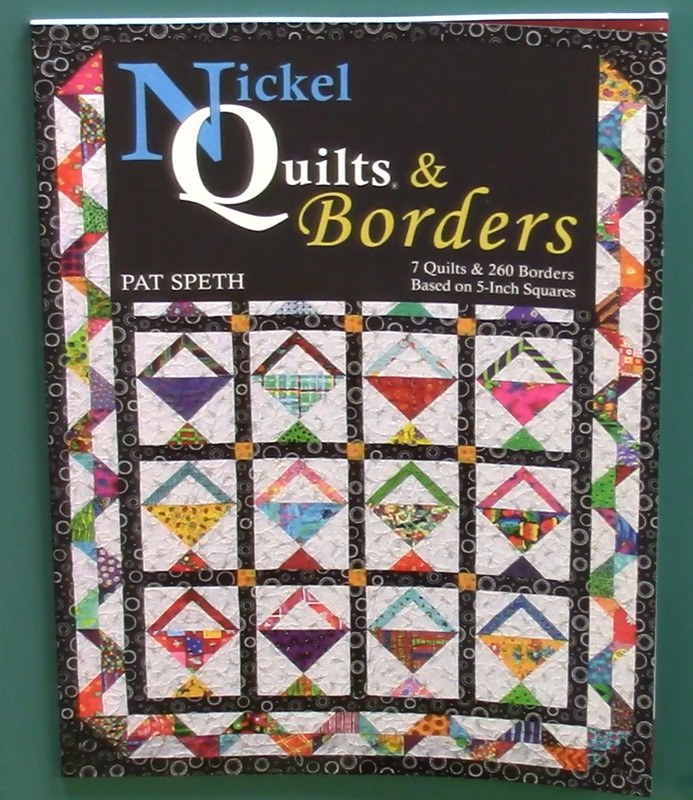 Yes, if you purchase more than one book you may select a free pattern for each book purchased! 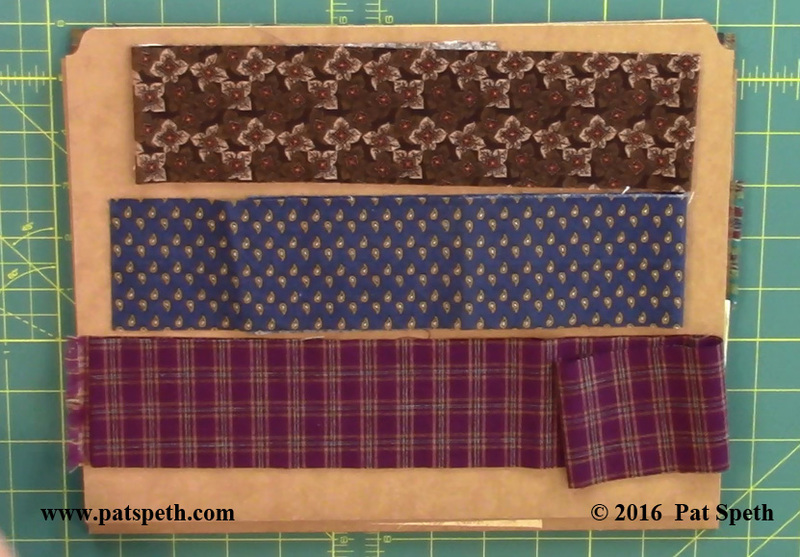 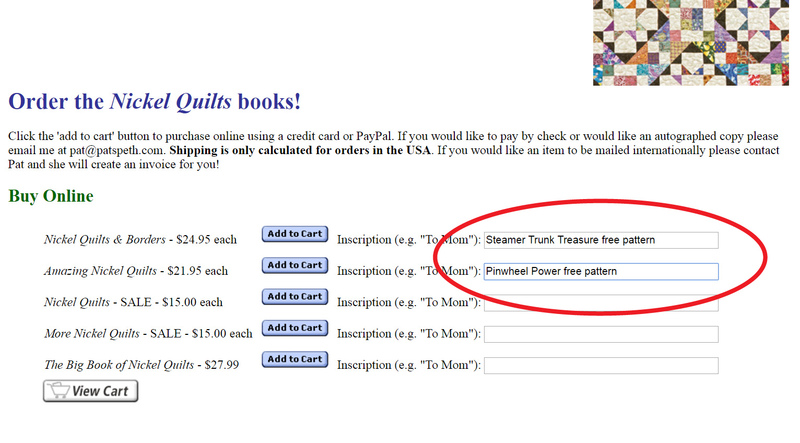 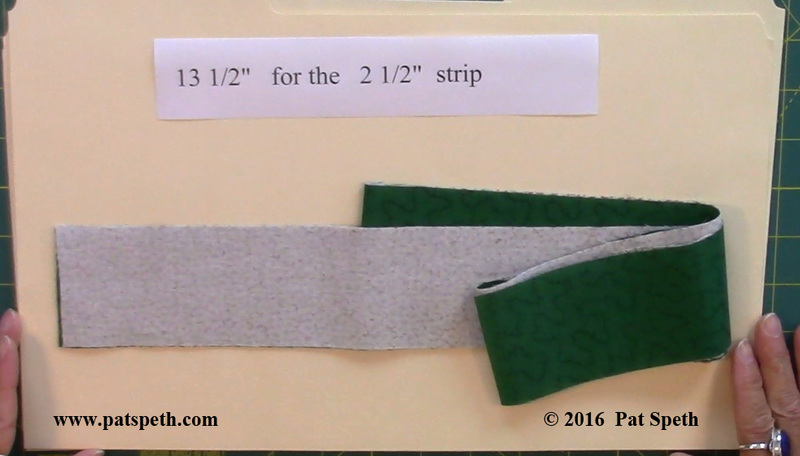 You must write in the pattern name at the time of purchase, if a pattern name is not written in a free pattern will not be shipped after the book is shipped.